Jakub William Gráf and Filip Martinka, the two members of Duo Martinka-Gráf, are students at the City of Prague Grammar and Music School, Czech Republic. In August 2017 the duo performed at the invitation of the International Harriet Parish Festival in Žamberk, and after winning the title of ‘Laureate’ and the EMCY Prize in the Concertino Praga International Radio Competition in January 2018 they are to undertake a chamber concerts tour of South Bohemia, performing a programme of works by Barber, Brahms and Davidov in concert halls and châteaux of the region. The summer of 2018 also sees the duo performing at the celebrated music festival in the Bohemian monastery town of Broumov. In June 2018 Filip and Jakub appear as guests of the West Bohemian Symphony Orchestra in a programme that features them both individually as soloists with orchestra (Filip in Grieg’s Piano Concerto in A minor and Jakub in Tchaikovsky’s Variations on a Rococo Theme) before they take the stage to perform as prize-winning chamber duo. Other notable engagements with professional orchestras to date include Rachmaninov’s Piano Concerto no. 2 in C minor (Filip with the Prague Symphony Orchestra) and Saint-Saëns’ Concerto in A minor (Jakub with the Prague Philharmonia). 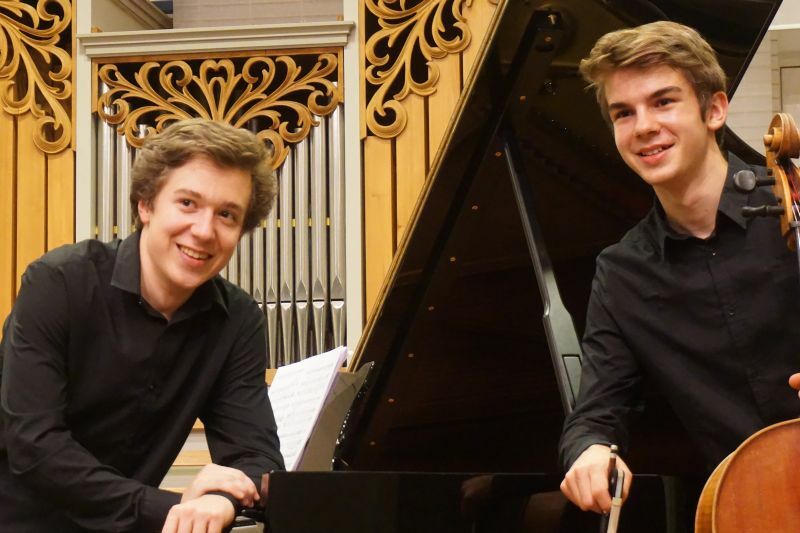 As chamber musicians Jakub and Filip also form the core of a Prague-based piano trio, and in both duo and trio formations they have given full-length evening recitals in support of charity. If you are interested in working with Duo Martinka-Gráf, please get in touch with the EMCY Office.